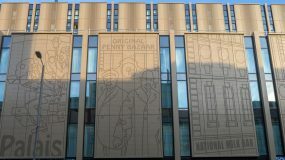 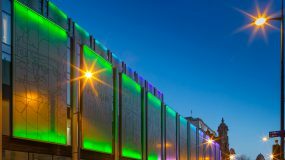 The £40 million gateway scheme in Liverpool’s Lime Street features spectacular artwork commissioned from local artist Anthony Brown, depicting some of the forgotten stories of one of the city’s most famous streets across 11 giant panels displayed above shops and restaurants, featuring Ash & Lacy’s Perforated Metal Façade system. 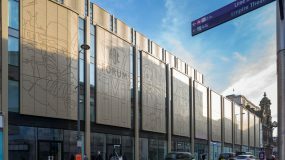 Designed by Broadway Malyan and forward funded by Curlew Capital, and delivered in a partnership between Liverpool City Council, ION Development and Sigma Inpartnership, the project saw the clearance of a series of run-down buildings and the development of new retail, leisure, hotel and student accommodation. 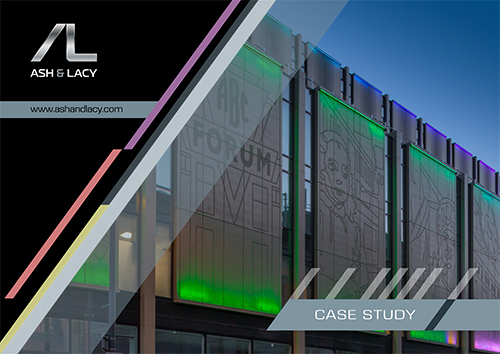 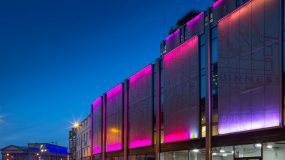 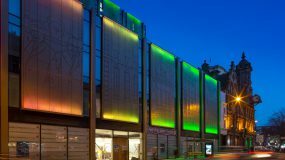 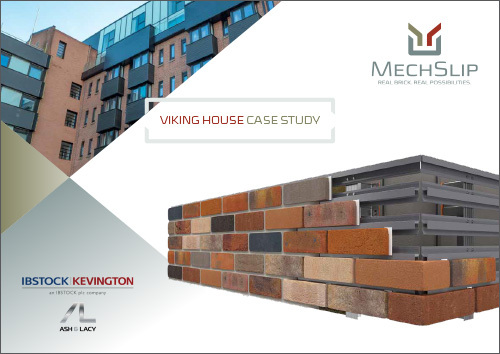 Renovation work also encompassed the refurbishment of the listed former ABC Cinema which occupies a prominent location opposite Liverpool’s mainline station. 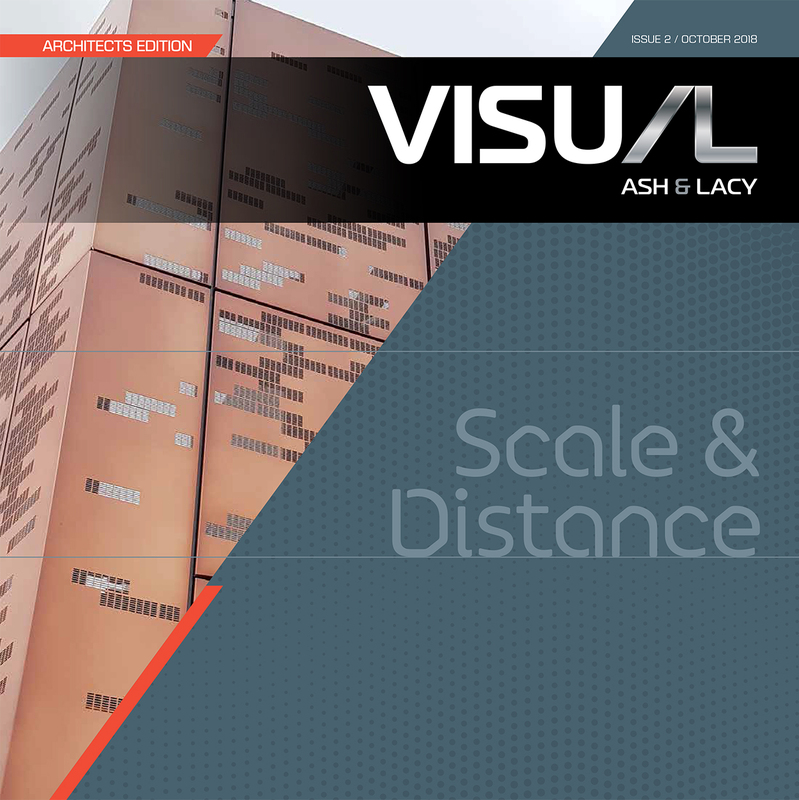 Ash and Lacy worked closely with Anthony Brown to achieve his goal of creating a “Quantum Timeline”, the artist having meticulously researched the area’s history from Victorian times to the present day. 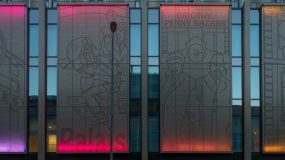 Themes covered in the murals include the story of how Lime Street got its name, the Beatles’ song Maggie Mae, the famous old Guinness Clock and the ABC and Scala Super Cinemas. 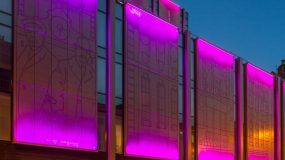 They are LED backlit at night to create an even more stunning effect.